I bet you won’t have trouble guessing who made over $18 million over a span of five years for a do-nothing job. “Grifters, using the highest offices in the land to enrich themselves, pure and simple. Vote accordingly.” Corruption? What Clinton Corruption? So much for the hope and I don’t think we got any of the change that Obama voters expected… “The Era of Hope and Change has been one prolonged act of suicide. If anyone had said that Obama would manage to alienate Israel and the Philippines, lose Turkey, pay Iran a hundred billion dollars, preside over the loss of a won war in Afghanistan, lose billions of dollars in military equipment to ISIS, watch a consulate burn, restart the Cold War with Russia, cause Japan to re-arm and go the knife’s edge with China would you have believed it? If someone had told you in 2008 millions of refugees would be heading for Europe and that the UK would leave the EU after Obama went there to campaign for them to remain would you not have laughed? There is no Democrat running in the Desert Ridge JP race, but Cathy must continue to campaign because there is an Independent running against her in the November General election. I have updated the headline to reflect this new information. The original report is below. On Tuesday, August 30th, Cathy beat incumbent Clancy Jayne to become the next Justice of the Peace (JP) for the Desert Ridge District. Cathy ran on a platform to raise the bar for the administration of justice, not just in the Desert Ridge District, but for Maricopa County as a whole. Since there is no Democrat running in the Desert Ridge JP race Cathy is considered elected to the post. For more about Cathy click here. We hope that you enjoyed your summer. And now it’s time to get back at it! Please join us on September 21 to hear Rep. Kate Brophy McGee speak on the legislative process as well as hot legislative topics as well as Prop 123. Rep. Brophy McGee has been in the Arizona state House of Representatives since 2011. She represents Legislative District 11. The district includes North Central Phoenix, Biltmore, Arcadia and the Town of Paradise Valley. Representative Brophy McGee is Chairman of the House Banking & Financial Services Committee and Vice Chairman of the House Children & Family Affairs Committee. Representative Brophy McGee serves as the co-chair of the Joint Legislative Child Protective Services Oversight Committee. She is a member of the Child Help Arizona Board and the Flinn Foundation’s Bio Sciences Roadmap Steering Committee. Following the discovery of over 6,000 cases of child abuse that went uninvestigated by Child Protective Services, Representative Brophy McGee was tapped to serve on key gubernatorial and legislative committees tasked with reforming the troubled agency. She sponsored the legislation establishing the Department of Child Safety as a stand-alone agency during an historic May, 2014 Special Session of the legislature. REMINDER! The cost of the luncheon is now $30 whether you are paying credit card, check or cash! To make a reservation for our luncheon, contact us by email: pvrwlunch111@yahoo.com, or call Sherry Gray at 480.220.7405. Please note that reservations are REQUIRED. And a reservation MADE is a reservation PAID! Palo Verde Republican Women will next meet on March 16th. Our keynote speakers are Mona K. Oshana and Sam Darmo. Ms. Oshana will talk about her family’s struggles to live under and ultimately escape the cruel, totalitarian rule of Saddam Hussein. She also will speak about the politics and policies that have led to the dismal situation currently facing the persecuted communities of the Middle East. Sam Darmo was born Iraq and is an Assyrian activist. Mr. Darmo will speak on the political and historical implications of these persecuted communities as well as offer specific solutions for what must be done now. 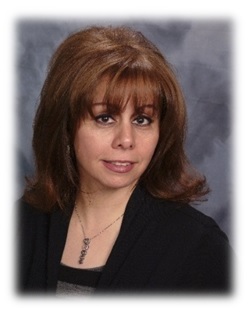 About Ms. Oshana: Mona K. Oshana was born in the Middle East and is a Christian with a heart for humanitarian causes. Ms. Oshana holds a Bachelor’s Degree in Communications and is currently working on her Master’s Degree in Public Administration. She is a host of the “Mona K. Show” on 1280 AM (KXEG) every Thursday at 4 pm. She also is a speaker and blogger, plus the executive director of Power of Three (PO3), a non-profit organization. Ms. Oshana has authored several books: Look Beyond the Fire, a personal story highlighting the human rights of the Iraqi people under Saddam Hussein and Dear Man, which examines the roots of the gender conflict, describing the damaged relationship between men and women. 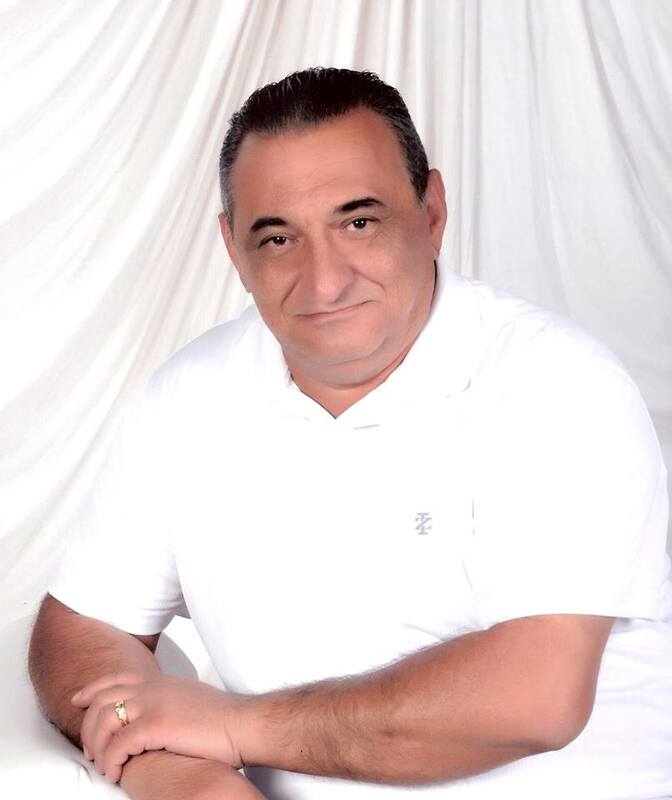 About Mr. Darmo: Sam Isaac Darmo was born in Iraq, graduated from the Academy of Science in Baghdad, and relocated to the United States in 1978. Mr. Darmo is an Assyrian archivist and an Assyrian TV and radio personality. He founded Assyrians for Justice in 2003, and has participated in many national and international meetings and conferences. Most recently in March 2015, Mr. Darmo attended the 28th Session of the United Nations Human Rights council at the United Nations in Geneva. He was there as a delegate of the Assyrian Aid Society-Iraq. The cost of the luncheon is $27 if paying by credit card. Pay with cash or by check and the cost is $26. To make a reservation for our luncheon, contact Patty Prosin by email: pvrwlunch111@yahoo.com. Join Us at Our Christmas Luncheon: Channel 12 News Anchor Lin Sue Cooney is Our Special Guest Speaker! Join us on December 16th for our annual Christmas luncheon. Our keynote speaker is LIN SUE COONEY! She was an anchor at 12 News for thirty years. Between 2005 and 2010, she also was a contributor to Raising Arizona Kids magazine. She currently works as the Director of Community Engagement at Hospice of the Valley. For years, Cooney, a mother of four, wrote first-person essays for Raising Arizona Kids on everything from adopting her son to raising adventurous eaters. The result is “Off Camera: A Collection of Essays About Children and Families.” You may purchase a book for Lin Sue to autograph-all proceeds go to Hospice of the Valley. The cost of the luncheon is $31 if paying by credit card. Pay by cash or check and the cost is $30. To make a reservation, contact Edith Stock by email at our reservation email: pvrwlunch@gmail.com or call her at 480.298.7818 (cell). Please note that reservations are required. And a reservation made is a reservation paid! Can the VA Be Fixed? We’re all aware of the scandal swirling around the VA that saw dozens – possibly hundreds – of veterans die while waiting to access medical care because of systemic fraud perpetuated by VA administrators to hide poor performance at Veterans Administration facilities. On November 18th, Matt Dobson, Arizona State Director at Concerned Veterans for America, will speak to us about this travesty and what’s being done to reform the VA to ensure it truly works for our veterans. Because it is imperative that we demand accountability and performance from VA leadership to ensure that this despicable disgrace NEVER happens again. About Matt Dobson: Mr. Dobson enlisted in the United States Army after high school and two summers of wildland firefighting with the BLM. Upon graduation from Basic Training and U.S. Army Combat Medic School, he was assigned to the 101st Airborne Division and deployed to Afghanistan. He later was assigned as training cadre at Fort Sam Houston. While there, he instructed trauma medical training to initial entry and current service members, as well as multiple rotations through a level one trauma center. Our November Meeting Will Also Feature A Book Signing! 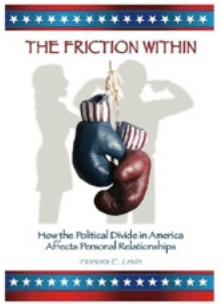 Palo Verde RW member Honey Levin has recently written a book entitled The Friction Within: How the Political Divide in America Affects Personal Relationship. At our November, Honey will briefly speak about her book and do a book signing. The price of the book is $14.99 and if purchased at the November meeting, a portion of the sale of each book will be contributed to Palo Verde RW. We are now a nation so divided by politics that longtime friendships have been damaged, family relationships have become fragile and the subject of politics in everyday environments is virtually taboo. Honey’s own negative experiences and concern for the country have impelled her to explore this dynamic in a thoughtful and impartial way. She examines this issue through the testimonies of twenty-eight brave Americans of all ages, races, religions and political affiliations. The reader is first presented with her own devastating encounter that leads to the revelations of those whose stories are courageously told in answer to her intimate questions. Some have chosen to use pseudonyms for fear of peer or government reprisals and a few are nationally known. But all have experienced some level of “pain” when discussing political issues with those on the opposite side. This is not a healthful quality of a free society. We can see the divide in Congress but to have this divide among ordinary citizens–many of whom were once caring friends and neighbors– does not encourage hope for America’s future. What can we learn from these interviews? How can we return to civil, respectful debate? When you “read” the emotional stories of these diverse and interesting respondents, you will gain insight that is not possible when discussions turn into confrontations.